Observation - Observation of speckled wood butterfly - UK and Ireland. Description: A speckled wood butterfly was seen sunning itself on an ancient hedgerow some 2 miles inland in north Cornwall. 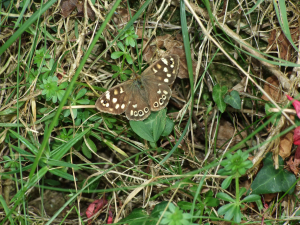 A speckled wood butterfly was seen sunning itself on an ancient hedgerow some 2 miles inland in north Cornwall.